A couple of years ago, I met Tasha, a Californian foodie at my painting class. She was doing a stage at a gourmet restaurant in Lourmarin, loving it and loving Provence. Since going home to Manhattan Beach, she has been working as a food stylist and is facilitating a course in April in Cadenet. 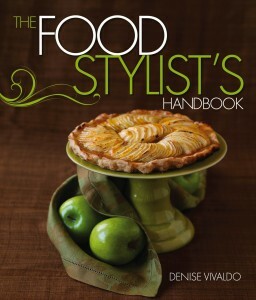 Stylist’s Handbook, and Tasha Powell (our fluent-in-French food stylist) for this information-packed workshop on the art of food styling and photography. A Paris-based food photographer will share photographic techniques to improve your culinary camera skills. This class is designed for chefs, food bloggers, food writers and anyone with a deep passion for the art of food. You could also come to the Côte d’Azur and have one-to-one courses on the preparation of Mediterranean cuisine, food presentation and food styling! You will learn the best of the best from a true professional! London and Paris trained chef, and I have worked for specialist food magazines, PR companies, advertising agencies and TV. 21 Cookery Books written.